Welcome Sea Town Real Estate! 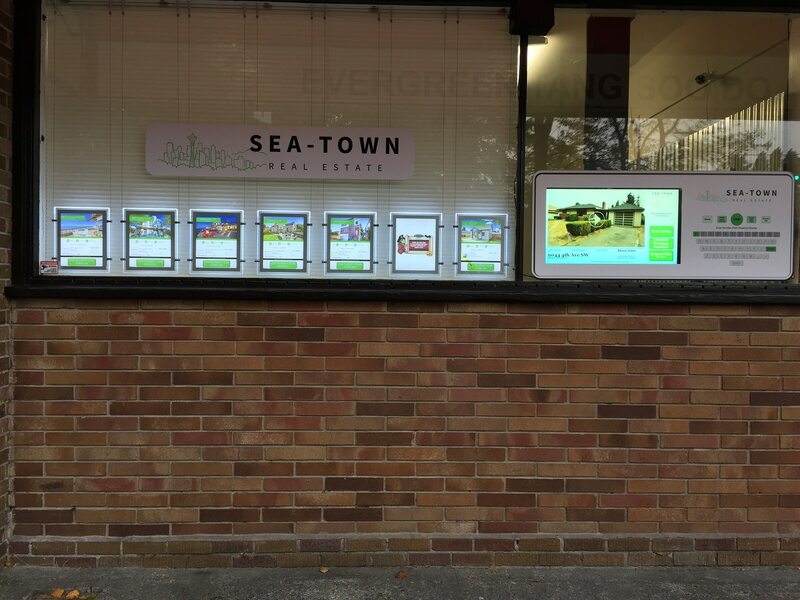 Sea Town Real Estate has partnered with Touchpoint Systems to bring WindoVision to Seattle! 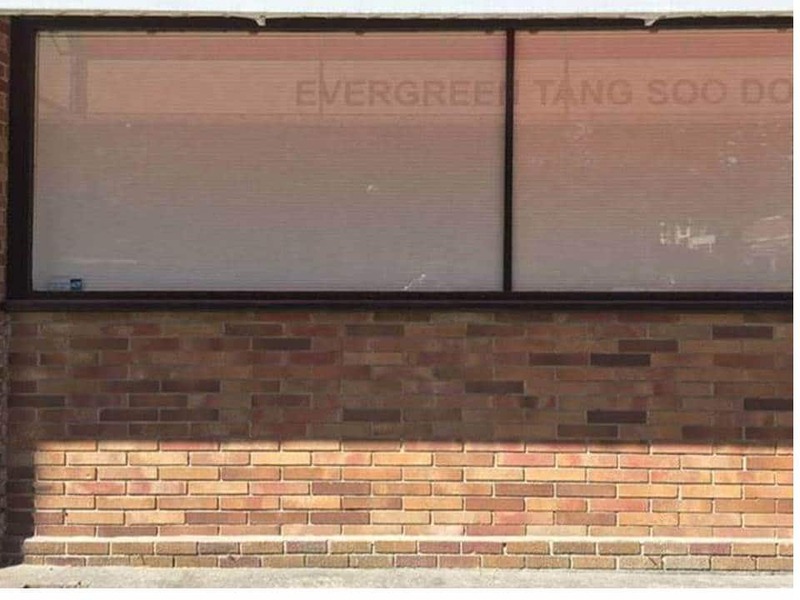 This one-of-a-kind interactive window display offers the ability for locals to shop for real estate 24 hours a day! 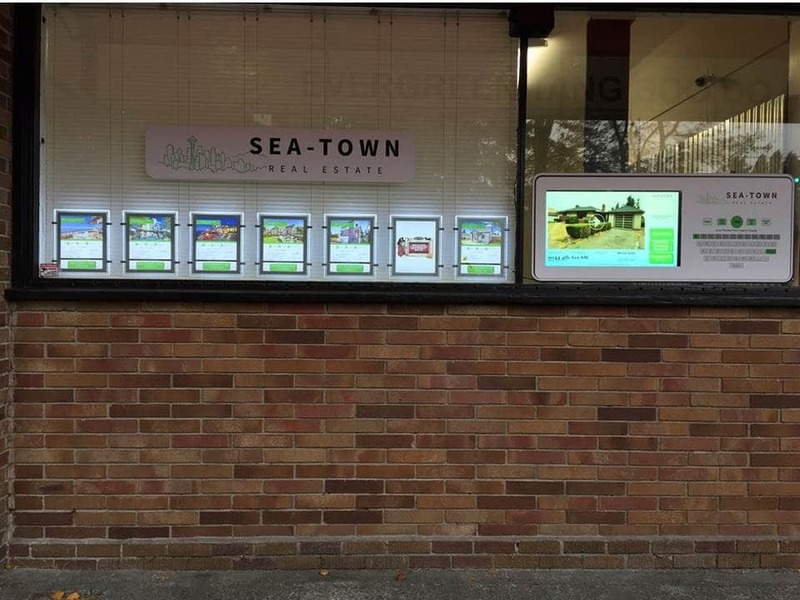 Sea Town’s new window display comes as part of a growing trend of real estate offices turning their windows into interactive kiosks. 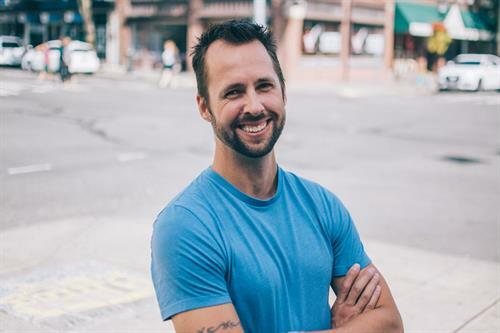 Christian Harris, Sea-Town’s Founder and Broker/Owner is no stranger to starting something new and different. In a recent interview, Harris detailed his inspiration for starting the company and his agent driven focus moving forward. WindoVision is the latest tool that Harris has invested in to allow his agents to offer an exceptional experience to their clients. The illuminated LED displays that hang in the window feature Sea-Town’s most desirable listings. Each listing features a unique code that is entered on the touchscreen kiosk in the adjacent window. Once that code is entered, users are presented with a tour of the home and a welcoming message from Sea Town. In addition, shoppers are also able to calculate mortgage payments, perform searches, and contact an agent right from the window! As a result, Sea Town offers a level exposure that can not be matched anywhere in West Seattle. The exposure of Windovision is exclusive to Sea Town listings and is one of many benefits Sea Town enjoys from its new office tool. Sea Town Real Estate is at the corner of SW Lander & California SW in West Seattle. Harris, who also hosts the popular podcast “Sea Town Podcast” is excited about the potential for what WindoVision can do for his community. On his podcast, Harris interviews local business owners, giving them a platform to showcase new and exciting business ideas. The touchscreen system in Harris’ office window follows a similar mission. Local businesses that partner with Sea-town will be able to showcase their website, videos and pictures. 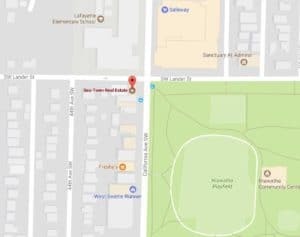 Harris’ goal is for his window to become West Seattle’s one stop shop for all its’ Real Estate and community information needs. To learn more about Sea-Town Real Estate, be sure to visit its Web Site or Facebook Page.